Formed in Manchester, North West England in 1991 British rock band Oasis consisting of brothers Noel and Liam Gallagher have been given the 1st position with their 1995 number 1 single ‘Wonderwall’ in a recent vote organised by Radio X. Radio X formerly known as XFM radio has organised a poll entitled ‘Best of British’ which saw more than 50,000 people taking part in aim at choosing their ‘Best British song’ of all time. 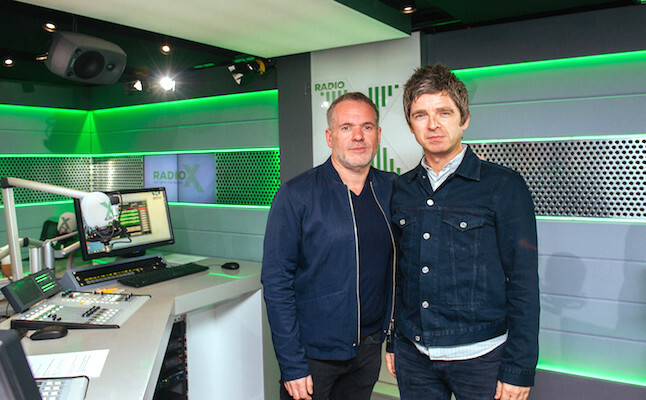 Radio X was founded in September 2015 succeeding XFM radio and aims at playing fresh Rock as well as guitar-based music with the likes of Nirvana, Jack White, Blur, Arctic Monkeys to name a few. The radio station recently decided to organise a poll surrounding the theme of ‘Best of British’ and the results named out in the form of a top 100 list were revealed on Easter Monday. The Manchester band Oasis dominated the poll with their song ‘Wonderwall’ reaching the number 1 position. As well as being given the number 1 position, the band’s name was featured up to the number 4 position which includes singles ‘Champagne Supernova’ or ‘Live Forever’ taken from their debut album ‘Definitely Maybe’ released in August 1994 by Creation Records. Another Manchester band, The Stone Roses reached the number 5 position in the vote with their song ‘I am the resurrection’, Sheffield born group Arctic Monkeys got attributed the number 6 position by listeners with their infamous ‘I bet you look good on the dancefloor’. The Rolling Stones reached number 10 with ‘Gimme Shelter’. As well as listeners of the radio station, presenters working for the radio also took part in the poll. British rock band Oasis’ career lasted more than 18 years, the band parted ways in 2009 at rock festival ‘Rock en Seine’ taking place in the French capital where the band was meant to headline on Friday 28th August. 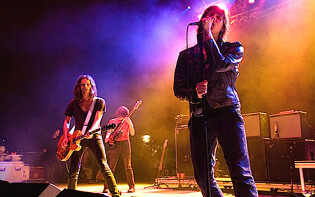 The band reached its success in the 90s, which may often be described as the ‘Brit pop era’. Their debut album was released in 1994 and only a year later followed up with successful ‘What’s the story morning glory?’ which featured this poll’s ‘Best British song’ ‘Wonderwall’ as well as ‘Champagne Supernova’ or ‘She’s electric’ to name a few. The band has regularly been featured in the press and has sold more than 70 million records as well as having 8 UK number 1 singles. The Gallagher brothers have 8 albums to their name all of which reached the UK number 1 position on their release, 15 NME awards have been attributed to the band throughout their career as well as 9 Q Awards. A total of 6 Brit Awards were also handed out to the band including ‘Best album of the last 30 years’ in February 2010 which saw Oasis’ frontman Liam Gallagher himself collecting the award and thanking the band’s followers for their support throughout their career. Guitarist and lyricist of the band Noel Gallagher has since departing the band in 2009 embarked on a successful solo career and has since released 2 albums ‘High Flying Birds’ and ‘Chasing Yesterday’. He has been touring since the release of his latest album and aims to perform at Scottish festival ‘T in the Park’ in July later on this year. On the other hand, former Oasis fontman Liam Gallagher started another band under the name of ‘Beady Eye’ with former Oasis members. They released two albums and parted ways in 2014. Liam Gallagher has also been involved in the fashion world by founding his own clothing line called Pretty Green with shops in London and Manchester. How may Oasis music endure even after the band parted ways in 2009?